TOKYO - The U.S. Navy has not ruled out sending an aircraft carrier through the Taiwan Strait, despite military technology advances by China that pose a greater threat to U.S. warships than ever before, the chief of U.S. naval operations said on Friday. "We don't really see any kind of limitation on whatever type of ship could pass through those waters," Admiral John Richardson told reporters in the Japanese capital, when asked if more advanced Chinese weapons posed too big a risk. "We see the Taiwan Strait as another (stretch of) international waters, so that's why we do the transits." 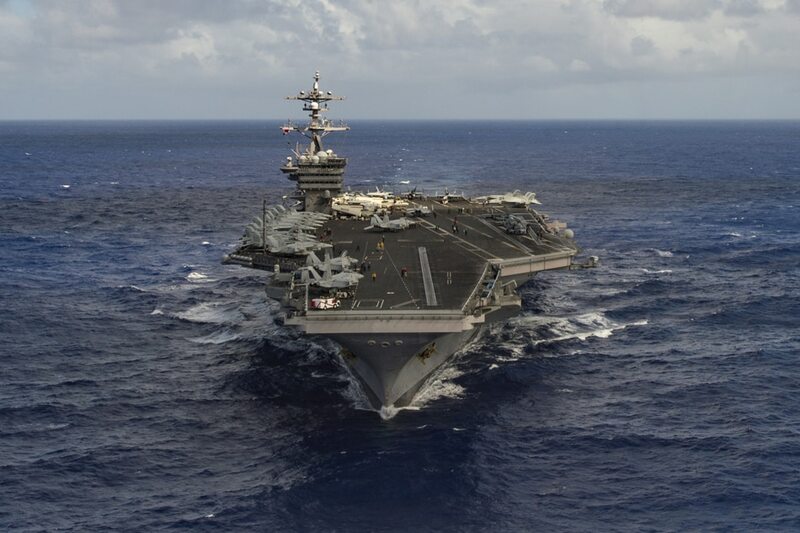 Aircraft carriers, typically equipped with about 80 aircraft and crews of about 5,000, are key to the U.S. military's ability to project power globally. On Tuesday, a U.S. official told Reuters the United States was closely watching Chinese intentions toward Taiwan as advances in military technology give Beijing's forces greater capability to occupy an island it considers a breakaway province. In a report, the U.S. Defense Intelligence Agency called Taiwan the "primary driver" for China's military modernization. "We have made this very clear that this was an excursion, a departure from the normal adherence to those rules and we would hope that behavior in the future would be much more consistent," Richardson said. "We should not see each other as a threatening presence in these waters." 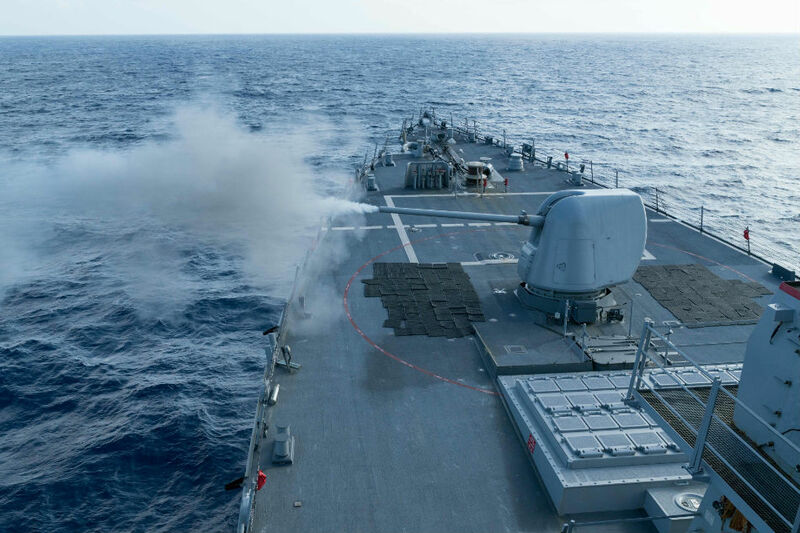 On Jan 7, a U.S. guided-missile destroyer sailed within 12 miles of a Chinese-occupied island, prompting Beijing's rebuke that it had "gravely infringed upon China's sovereignty".